Blood bath in the sheep pen: In a single night two lion killed more than 170 sheep at the Brandberg Mountain last week. In November already lion had caused havoc amongst sheep and goats in the Kunene Region. And some months earlier lion from the overpopulated Etosha National Park wandered into communal farmland. No doubt – the conflict between the big cat and man increases. And the lion always comes off second best, although like no other animal it embodies wild, unspoiled Africa and Namibia as a tourist destination likes to advertise with it. Affected farmers demand that the big predators must be removed from their area, or they reach for rifle or poison. The sad reality is: The only home left for the king of beasts, the symbol of the African Wilderness, seems to be in National Parks. In this Namibia seems to follow the general trend on the entire continent. According to a study of Riggio et al from the year 2013 the remaining available habitat for lion in Africa south of the Sahara represents only 17% of the lions’ historic range. A more recent study conducted by Baur et al in 2015 for the „International Union for Conservation of Nature (IUCN) Red List of Threatened Species“ describes the situation as even more dramatic: Due to this study only 8% of the historic lion range is still available. Agricultural development and human expansion have taken up most of what was lion habitat before. 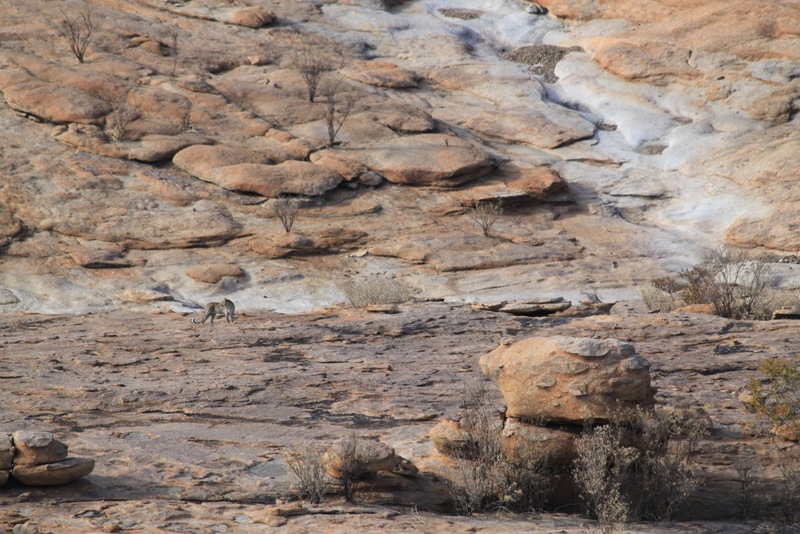 This alarming development was reason for the Erongo Mountain Rhino Sanctuary to consider and eventually approve (on the AGM 2015), to make habitat available for lion in this private nature reserve. One of the most recent examples for the conflict between lion and stock farmers was the lion pride, which in the Kunene Region killed 250 sheep and goats in two nights. The Ministry of Environment and Tourism (MET) immediately sent officials to the area. Although it turned out that the farmers had not built lion proof small livestock kraals, five of the big cats were captured to be relocated. But whereto? Etosha has a lion overpopulation already and the problem animals, being still young, are very likely to be killed by resident prides. The same applies to other National Parks, which would qualify. 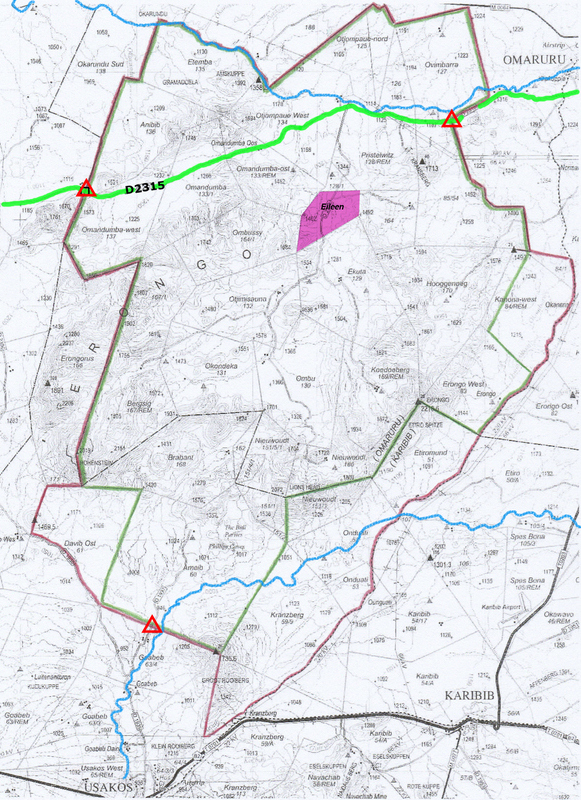 So the MET contacts the private nature reserve Erongo Mountain Rhino Sanctuary (EMRS) in the Erongo Mountains, with whom the officials have a close and successful co-operation for ten years already because of the Black Rhino Custodianship Programme. The EMRS agrees. Already two years ago, on its AGM 2015, the 24 member farms had discussed the alarming numbers of the IUCN on the shrinking habitat of the lion in Africa. According to Kai-Uwe Denker, Chairman of the EMRS Trust, back then they decided in principle to make habitat available for this endangered big cat in their nature reserve. The Sanctuary encompassing an area of approximately 180,000 ha is not only well suited for these big cats, lion moreover should serve as a natural regulator for species like Kudu, Hartmann Zebra and Giraffe, of which the Sanctuary has an overpopulation. For years already the Sanctuary conducts very effective anti-poaching measures – not least because of the Black Rhino in the area. There is a high game proof fence on the three sides bordering the commercial farmland and the EMRS commissioned the electrification of the fence towards the urban areas of Omaruru. Moreover the lion would be an additional attraction for tourists. According to the EMRS 18 different tourist establishments were formed in the area already due to the project (lodges, guest farms, hunting farms and campsites) which are visited by 20,000 tourists annually. More than 200 tourist related jobs were created and 38 game guards conduct anti-poaching patrols and ensure general security within the Sanctuary. The MET in November thus relocates four of the five captured lions to the EMRS; one of the animals dies of capture related stress. Since then, according to EMRS Chairman Denker, the lions have not been seen. They keep to remote, mountainous regions; only their tracks are seen now and then. They live on game, but have not killed any stock – and they avoid humans. This proves that they only killed goats and sheep in the Kunene region, because there was little game left due to the drought. Threat to humans and livestock? Nevertheless there is protest. The family owning the farm Eileen, who has a camping-site in the area and according to EMRS members keeps goats, highlights the danger to humans and stock on several forums. This is somewhat inconceivable to the EMRS members, because leopard and other predators are plentiful in the Erongo Mountains. According to the MET fewer attacks by lions on humans are reported than attacks by leopards – and leopard attacks are rare enough. According to the EMRS the danger to fire-wood collectors is cited, but there are no fire-wood collectors in the Sanctuary. A petition, which the lion opposition from Eileen promised to supply is still outstanding. The small farm Eileen is located inside the Sanctuary and gains from the increased tourism potential and from the anti-poaching operations and security measures of the Sanctuary, but according to Denker right from the beginning does not co-operate with the EMRS. Like elsewhere it is a conflict between stock-farmer and lion. But the protest has consequences. On 10 January the MET, seemingly on direction from high authority, announces that the lions will be captured and translocated again, this time to a National Park. During a meeting with the MET a representative of the EMRS learns that some uninvolved third person has created the impression of being a party affected by the lions and has offered to capture and translocate them. However, this person is not known to the EMRS and is not living in the area, seemingly however is well connected. There are rumours that there was a plan to sell the lions to South Africa, where tuberculosis-free Namibian lions fetch prices of up to R 500,000. 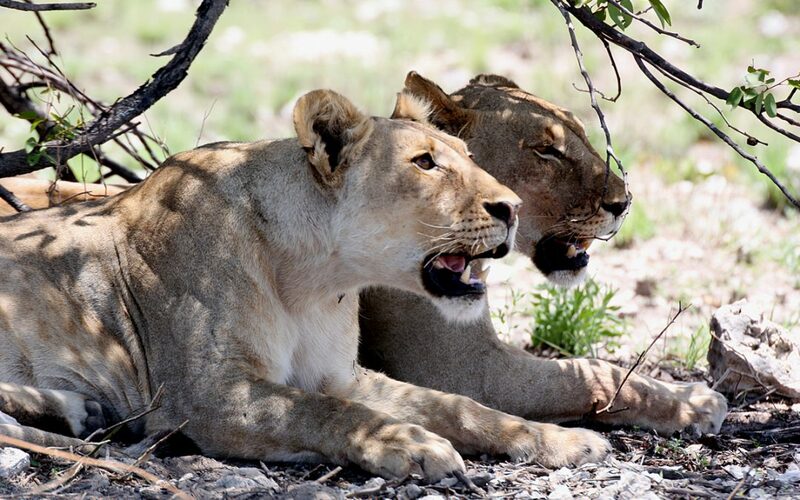 The MET did not take up the proposal, but the lions will nevertheless be translocated a second time – this time to Etosha. The Namibian Ministry of Environment and Tourism tries to counter the problem of disappearing habitat for conflict species like lion and elephant with the strategy of Sustainable Utilisation of Natural Resources, which allows humans to reap benefits from the conservation of wild animals. In this way Communal and Commercial Conservancies can protect and tolerate their game to attract tourists to reap financial benefits via touristic activities. The intention to make more habitat available for wild animals even outside of National Parks in co-operation with communal or private institutions works very well with rhinos. This also applies to the EMRS in the Erongo Mountains. The attempt to achieve a similar success for the lion as well, has seemingly failed for the time being. The members of the EMRS are particularly disappointed about the fact that the realisation of a big vision of successful co-operation in nature conservation can be jeopardised by the protest a small party – and that side-line goat farmers, who to the knowledge of EMRS members earn a livelihood elsewhere, can boycott the restoration of an intact ecosystem.